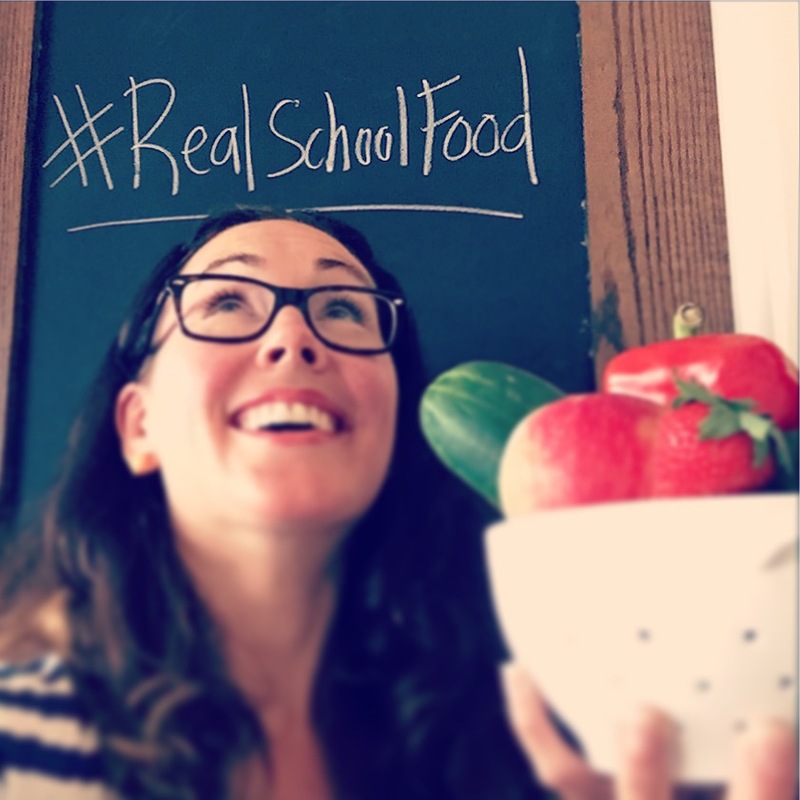 The Chef Ann Foundation is officially declaring October the month of Real School Food, and I am pumped to join the campaign for it's second year! They have lots of fun events and activities planned to get the word out so stay tuned in to Chef Ann's Instagram, Facebook and Twitter pages! Why do we need a whole month dedicated to raising awareness about real school food? This quote hits home for me BIG time. 4.5 years ago I swerved my family swagger van onto the real food highway. I hit my trigger point with concerns about my daughter's social, emotional and academic performance at school. Abbie was performing a full year behind grade level in 1st grade and she could not pay attention, sit still, follow two step directions or get along with her friends in school. I was ready to try anything, have no regrets, so I tried real food first. I kicked out the fake food - preservatives, artificial colors and added sugar. I also kicked out gluten and dairy for awhile. 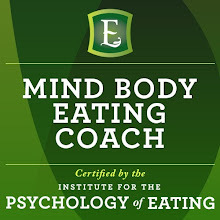 After two weeks of eating more clean, real food, she was symptom free (I know, I still can't believe it) and it changed the course of her life, my life and our family's life forever. Let me be clear. It's not about perfection for us. We eat out and we certainly eat some processed food. Our goal is simple: 80% real food to 20% "whatever" food. Cuz I really love to eat my "whatever" food too. The incredible connection between our gut-brain lights up my world like a glorious sunrise and I geek out about the microbiome pretty much everyday. New research is emerging at a furious pace and I try to keep up with "What's New in ADHD" as this information impacts my family's health no matter how well now my children are now functioning in school. Everyone EATS and it's time we inspire the guts + minds which gather everyday in the biggest restaurants in town - SCHOOL CAFETERIAS! 1. Snap a selfie with a sign #realschoolfood. 3. You can even make your picture your banner or profile pic for the entire month of October (if you're a food education goober like me)! 4. For every person who posts using #realschoolfood from now until the end of October, $1 will be donated towards healthy school food programming for kids across the country. This is an incredible opportunity for Americans to make school food reform a reality, thanks to the generosity of the foundation's sponsors (click here to check em all out!). Here is a link to the Chef Ann Foundation's Project Produce Grant. I helped our school district apply for this (fingers crossed!) and perhaps you could help yours too! Speaking of supporting awesome Food Education... I will be attending the Pilot Light Chefs Feed Your Mind Gala on Friday October 7th - Tickets are running out! One of America's finest chefs will be hosting - It's your chance to meet Chef Tom Colichio! The gala will be packed with Chicago's finest chefs, educators and foodie "movers and shakers." I hope to see you there! 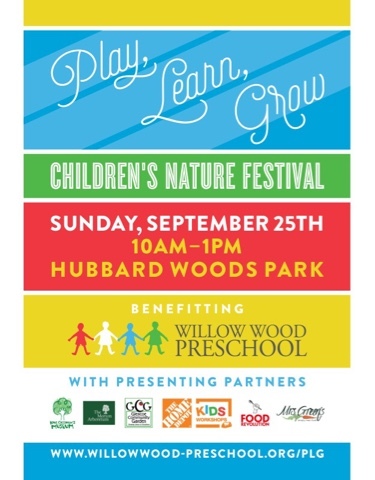 Come join the Lake County Food Revolution team for a fantastic family friendly event with Willow Wood Preschool! I plan on bringing my family and I hope to see yours there too! Link up here for more information about the event. There will be so much TO DO!!! Painting garden stones and seeing a live worm farm with Kohl Children's Museum. Creating Tree Ring Necklaces with The Morton Arboretum. Making a healthy jam jar dip for fresh vegetables with Jamie Oliver's Food Revolution with me and our Food Revolution Lake County team! Making a newspaper pot to plant bean seeds with the Glencoe Community Garden. Planting organic carrot and kale seeds with The Home Depot at the Glen. Enjoying complimentary healthy snacks from Mrs. Green's and a Peet's Coffee Bar. Eating delicious food from food trucks provided by Bake 425 and La Cocinita. We are so excited to be a part of the fabulous Willow Wood Preschool event and we look forward to inspiring you and your kids to cook + eat more vege our DIY jam jar dip making station! 1. You will be amazed at how easy it is to make your own dressings. 2. We're pretty sure it'll kick-start a new kid-led dip making tradition at your family table. BOOM. 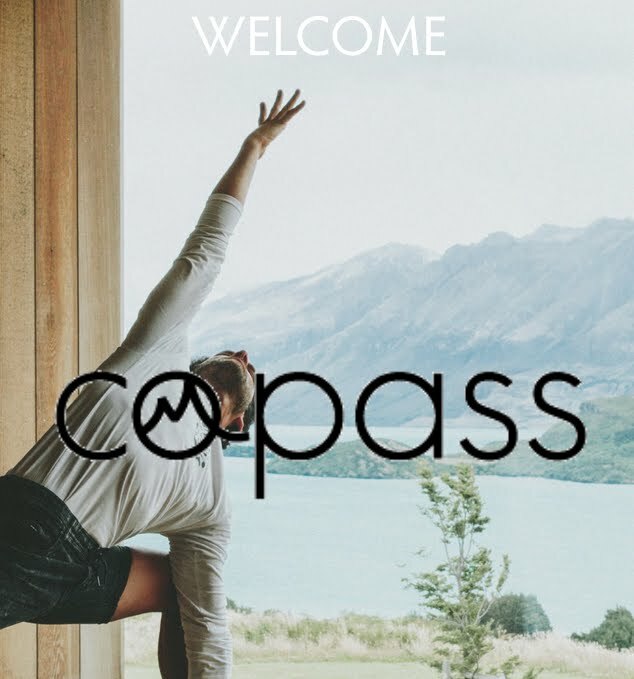 Register HERE and we'll see you Sunday! I can't wait to pack up my swagger van and GO! Ohhhhhhhhh I can only imagine what these beautiful Fuller Center of Lake County Community Gardens look like now! Terri and I went to visit Executive Director Yvette Ewing a few weeks ago and got a grand tour of the facilities that I've been talking about for the past few months. After meeting her at the annual Farmer's Market kick off, Yvette drove us out to the Manna Garden (it was my first time out too!) and we were able to snap some pictures and hear first hand how the initiative continues to impact the community. Check out this quick information video on the Manna Garden - Terri and I were so inspired and quite overwhelmed at the enormous impact of the combined efforts between Fuller Center's Hero Project and the Lutheran Church Charities! Here is the fun quickie video we shot together in the garden. Yvette's Hero Kitchen is really shaping up!!! I love keeping up with the progress (Check out Yvette's most recent Facebook post on the new kitchen floor) and I'm looking forward to getting out there again soon (the kids are back in school, yea!) to see the evolution in person. I am so honored to be considered a Wellness Hero (anyone can volunteer their time & talents!) and I cannot wait to jump in and help teach food education at the Hero Kitchen someday! Without a doubt, passion and vision is abundant at the Fuller Center and it's all because of YOU Yvette!! Thank you for fighting for food education in Lake County! Oh Terri I LOVE the blog you wrote about your trip here yesterday on Jamie Magazine! I miss you so freakin much... it's sure fun to be on the line with you. Love you! Read her beautiful blog post here.